There will be spice, but not TOO much spice. The announcement that Legendary Pictures and Blade Runner 2049 director Denis Villeneuve would tackle Frank Herbert’s sci-fi series Dune was met with excitement, but also apprehension. Would Villeneuve go the route of Stephen King’s The Dark Tower, condensing a convoluted story into 120 minutes of action and exposition dumps? Luckily, Herbert’s son has confirmed that the (hopeful) franchise is taking its time, focusing the first film on only part of the first novel. 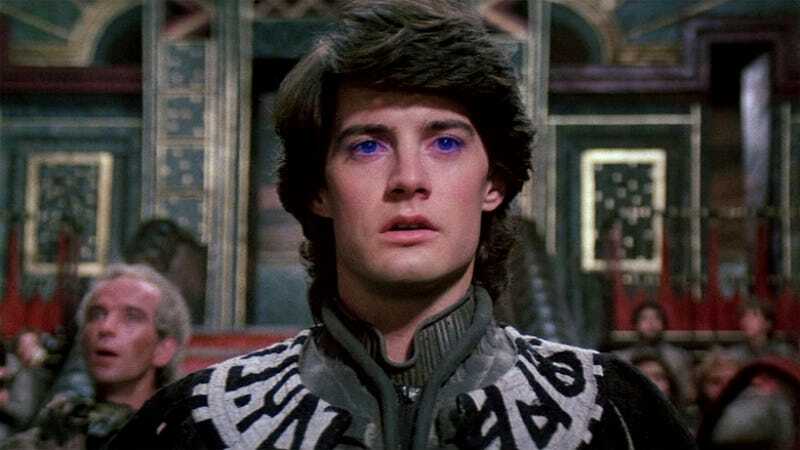 Author and Dune film consultant Brian Herbert announced on Twitter that he’s looking over the latest draft of Legendary’s Dune script, and confirmed that the first film will only tackle half of the first book in the six-part original Dune saga. This most likely means the first half, but I’m sure the film could jump around a bit as needed for the plot and characters. You may recall, Villeneuve previously said he wanted to make his Dune film a two-parter, but we didn’t know much more than that. Herbert, who’s continued his father’s franchise in a prequel series with co-writer Kevin J. Anderson, has been sharing a lot of great information on Twitter about the process of getting Dune’s script approved and ready to film, as well as asking fans their opinion on ideal casting choices so he can send the ideas to the production studio. He and Anderson have been giving their input on the script drafts, and Herbert says they’re excited about working with Legendary on this big screen adaptation of his father’s work. Legendary bought the film and TV rights to Dune two years ago (Paramount held them previously and then the Herbert estate) and has been hard at work getting the first movie off the ground. It’s no surprise, considering this remains a huge sci-fi property. The series is a complex and detailed saga that weaves politics, science fiction, and action into a big beautiful world. It launched over 50 years ago and has maintained (even grown) its legacy to this day. I’m curious—dare say excited—to see where Villeneuve’s vision will reside in that legacy. What about you?